Editor’s Note: This third and final article in a series reviewing the evolution of food law highlights the most important aspects of six rules of FSMA. Understanding the below six rules will help you better incorporate the Food Safety Modernization Act (FSMA) into your food safety program. Here’s what you need to know. The Preventive Controls for Food for Animals final rule has staggered dates of compliance for both the current Good Manufacturing Practices (cGMPs) and the preventive controls (PCs) rule, beginning Sept. 18, 2017 with full implementation by Sept. 17, 2019. Larger entities falling under this body of legislation were required to comply with the new cGMPs in September 2016 and will be held to the PCs rule beginning Sept. 18, 2017. The due date for full compliance by all entities is September 17, 2019. There are several definitions of exempted businesses, but the details concerning these exemptions are beyond the scope of this article, so please refer to the regulations for more information on this topic. The PCs for Food for Animals rule (published in 21 CFR 507 Subpart B) establishes baseline cGMP standards for producing safe food for a broad range of animals. The cGMPs for food for animals are very similar to those for human foods, with a few unique provisions, including water supply and plumbing, plant operations, and holding and distribution of human food by-products for use as animal food. The regulations also contain very similar requirements to the PCs for Human Food final rule, including the requirements for the development of a food safety plan that contains: 1) a comprehensive hazard analysis of the products and processes, 2) establishment of PCs, 3) monitoring procedures for PCs, 4) verification and validation activities for established PCs, and 5) a recall plan. The Accredited Third-Party Certification rule defines requirements for the development of a voluntary program for the accreditation of third-party certification bodies to conduct regulatory food safety audits and issue certifications of foreign facilities. The accredited certification body’s auditor will act on behalf of the FDA as a regulatory authority when performing unannounced audits of the eligible foreign supplier/importer. 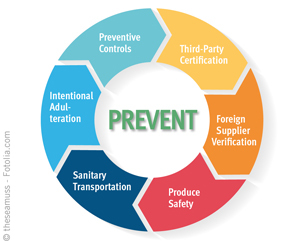 If the supplier’s food safety programs are acceptable, the supplier will be issued a certificate of compliance that may qualify it to be eligible for the Voluntary Qualified Importer Program, which allows importers expedited review and entry of products into the U.S. The rule also describes the requirements for recognized accredited certification bodies to perform these audits as well as the agency’s ability to directly accredit third-party certification bodies if none have been recognized within two years of implementing this program. The body of regulation is found in CFR Parts 1, 11, and 16. Corrective actions are needed when a foreign supplier has not provided the same level control as required under the produce safety and PC regulations, or produces adulterated or misbranded food with respect to allergen labeling. Corrective actions depend on the nature of the issue but may include discontinuing use of the supplier until satisfactory actions have taken place to rectify the problem. The Produce Safety (PS) rule, also known as the Standards for the Growing, Harvesting, Packing, and Holding of Produce for Human Consumption, is found in 21 CFR Part 112. The intent of the PS rule is to “establish science-based minimum standards for the safe growing, harvesting, packing, and holding of produce, meaning fruits and vegetables grown for human consumption.” The definition of “farm” is the same as defined in the Preventive Controls for Human Food rule and is used to determine entities that are exempted from the PS rule. The specifics concerning exemptions and staggered compliance dates are beyond the scope of this article, so please refer to the regulations for more information on these topics. The rule identifies and seeks to control five primary methods of potential contamination: 1) agricultural water, 2) biological soil amendments, 3) domesticated and wild animals, 4) worker training and health and hygiene, and 5) equipment, tools, and buildings. There are also specific provisions defined for the growing, harvesting, packing, packaging, and holding of sprouts, which are particularly vulnerable to microbial contamination due to the nutrient-rich conditions under which they are grown. 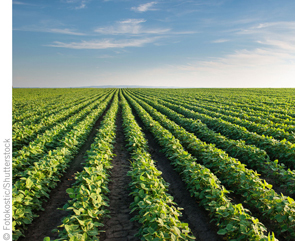 In order to address the PS rule’s overall impact on the environment, human health, and socioeconomic effects, the FDA released the Final Environmental Impact Statement. The agency believes public health will benefit due to the decrease in the number of illnesses tied to produce contamination. On the flip side, the FDA acknowledges that the regulation may cause a farmer to use ground water instead of surface water which may contribute to existing groundwater shortages, and that Native American farmers may be affected disproportionately by increases in operating costs as a result of the rule since their income average is 30 percent less than that of other farmers. On June 6, 2016, the Sanitary Transportation of Human and Animal Food rule was finalized. This body of regulation is found in 21 CFR Parts 1 and 11. The rule builds on safeguards established in the Sanitary Food Transportation Act of 2005 and sets “requirements for shippers, loaders, carriers by motor or rail vehicle, and receivers involved in transporting human and animal food to use sanitary practices to ensure the safety of that food.” The rule includes requirements for: 1) vehicles and transportation equipment to include proper design and maintenance, 2) transportation operations to protect food from contamination, 3) training of carrier personnel in sanitary transportation practices, and 4) records that include written procedures, agreements, and required training. The rule pertains only to food destined for distribution and consumption in the U.S. Please refer to the final rule for specifics on transporters or shippers who are exempted or waived from the regulations, including those governed by the Pasteurized Milk Ordinance, food establishments governed under the Retail Food Program, and exporters who transport food through the U.S. but do not distribute it in the U.S. 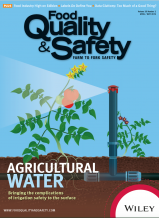 The Mitigation Strategies to Protect Food Against Intentional Adulteration rule of FSMA was effective July 26, 2016 and is published in 21 CFR Parts 11 and 121. The regulation requires registered domestic and foreign food facilities “to address hazards that may be introduced with the intention to cause wide scale public health harm.”The key phrase is “wide scale” as this rule is intended to prevent acts of adulteration, including acts of terrorism, which may greatly impact the U.S. population by causing a significant number of illnesses, death, or economic disruption of the food supply. This rule does not apply to acts that are motivated by strictly economic reasons, as these are covered in the PCs for Human and Animal Food rules. The rule mandates facilities adopt a process approach, similar to Hazard Analysis and Critical Control Points, or HACCP, when creating the required food defense plan. A vulnerability assessment must be conducted to identify weaknesses and actionable process steps. Mitigation strategies are developed for each actionable process step to minimize and prevent identified vulnerabilities. Mitigation strategies must include procedures for monitoring, corrective actions when strategies are not properly implemented, and verification activities to ensure monitoring is conducted as required and is effective. Employees must be appropriately trained and records of the monitoring, corrective actions, and verification activities must be maintained. At a minimum, the food defense plan must be reanalyzed every three years. From rules governing beer in 1700 B.C. to the seven foundational rules of FSMA enacted in 2011, government and commerce have worked together to create food safety regulations and best practices for protecting human health. 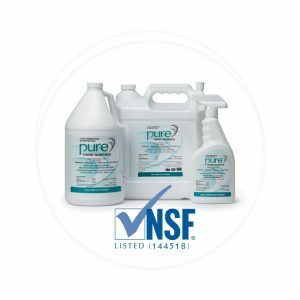 Thoma, a food safety and quality professional with nearly 20 years of experience in food manufacturing and food safety auditing, has worked for NSF International for four years as both a GFSI certified auditor and as a technical specialist in the Supply Chain Food Safety group. Reach her at lthoma@nsf.org.